Gastrointestinal health is widely considered the health of the whole person. In Naturopathic Medicine, many treatments plans evolve around supporting and optimizing gut health. Most of us have certain foods we try to limit, the top food sensitivities I see in my Naturopathic practice are wheat/gluten, dairy, eggs and soy. A comprehensive blood test is often ordered to specify which foods a patient is sensitive to and the results are used to outline a plan to limit those foods in their diet. Even those who try to eat a healthy diet most of the time are tempted to indulge during the holiday season. As patients test their systems during this season or other celebratory moments in their lives, we use supplements to help maintain and support the integrity and function of the Gastrointestinal tract. Digestive enzymes are a key supplement in helping optimize digestion, they help break down larger molecules of food into smaller, easily absorbed molecules. Digestive enzymes are a critical part of treatment plans that help restore wellness in the GI Tract and treat a wide range of symptoms. Optimizing digestion is the first step in a comprehensive treatment plan addressing GI health. Digestive enzymes can help relieve occasional indigestion, gas and bloating, and are especially critical during times of celebration when our diet is not as optimal as it should be. They can also be helpful when people are eating foods that they might be sensitive to. 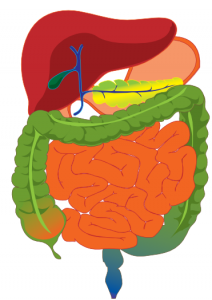 The three main enzymes that aid in macronutrient digestion are amylase, protease and lipase. To complete the digestion process, sucrose, lactase, maltase and others are required to properly assimilate nutrients. Be sure to pick a product that is active through a broad pH range, as each enzyme requires a specific pH for optimal activity. Or call our office for a quick consult on what product would be best suited for your body.